All Cindy Shinabarger had was an idea and a looming deadline. They had no engineering drawings, no knowledge of material selection, and no one to help and advise them. “Nobody wanted to talk to us because we’re so small,” said Shinabarger. They needed a miracle, and when PartWorks agreed to work with them, they found one. As Project Engineer for Operation Mobilization USA, Shinabarger was leading the effort to develop Go Grow, a hydroponic planter for use on decks and patios. What made the project unique was that Operation Mobilization builds planters using the same basic concept for use in small villages in developing nations, where food is scarce. The planters used in the field are built using local materials and need to function at the lowest possible cost. As a Christian-based nonprofit, Operation Mobilization is dedicated to helping people in need around the world. 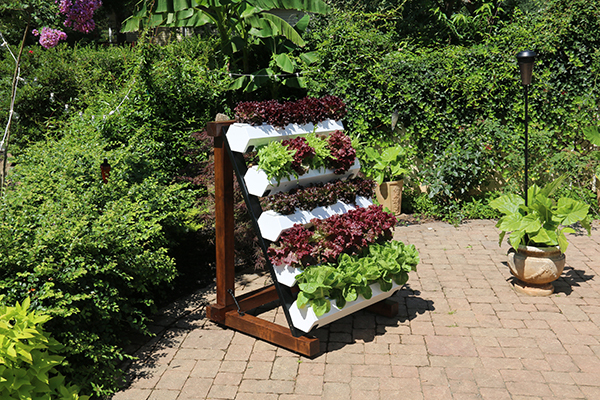 One of the ways they do that is by building hydroponic planters to allow people in impoverished areas grow their own food. The idea for the Go Grow planter was born. Shinabarger’s vision was to sell them to help fund their mission to build planters in poverty-stricken areas. “For every Go Grow we sell, we’ll be able to build one for someone who really needs it,” she said. PartWorks serves as an engineering, development and manufacturing partner for Go Grow. The first thing they discussed was materials. “We were thinking it should be plastic,” said Shinabarger, “but Corey advised us to build it from aluminum, saving the upfront cost of a mold.” Understanding Shinabarger had a limited budget, PartWorks created engineering drawings based on her initial concept, and developed the first prototype. 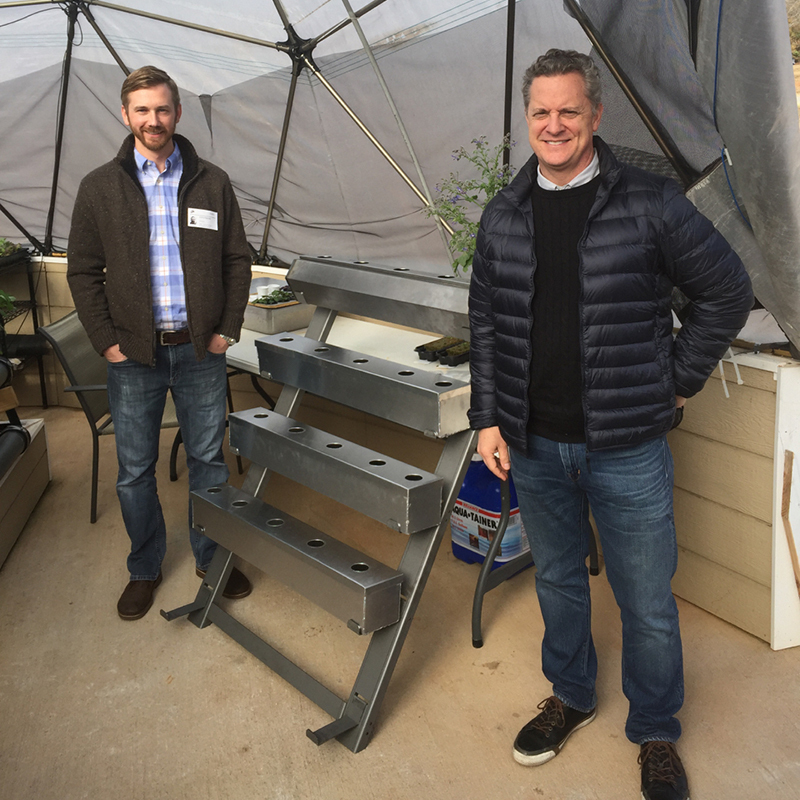 The prototype included custom-designed steel brackets, made by PartWorks’ parent company, Phoenix Stamping Group, to hold the metal planters on wood frames. PartWorks also advised Shinabarger on manufacturing, serving as their advocate to ensure suppliers met their specifications. 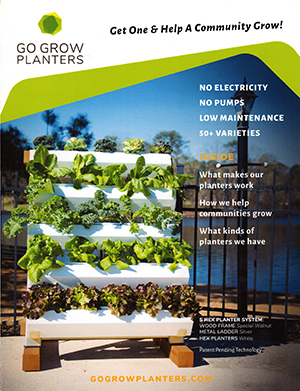 As a result of their collaboration Shinabarger was able to produce the initial run of products for the garden show, and Go Grow was launched. She credits the team at PartWorks for making Go Grow a reality. “We had no expertise in materials or manufacturing,” she said. “Their knowledge and collaboration kept us from making mistakes.